At its core, the SCRC is a project-driven technical resource center. We provide resources and support to community projects that require a scientific component or the participation of academically trained experts. Our larger goal is to advance the fight for economic and social justice—to participate in the creation of a world of peace and equality. Our current (and past) projects reflect this practical approach and our moral and political commitment. Texas State Partnership to Reduce & Eliminate Health Disparities. In this project, we are building community-researcher partnerships in every region of the state of Texas to eliminate health disparities. 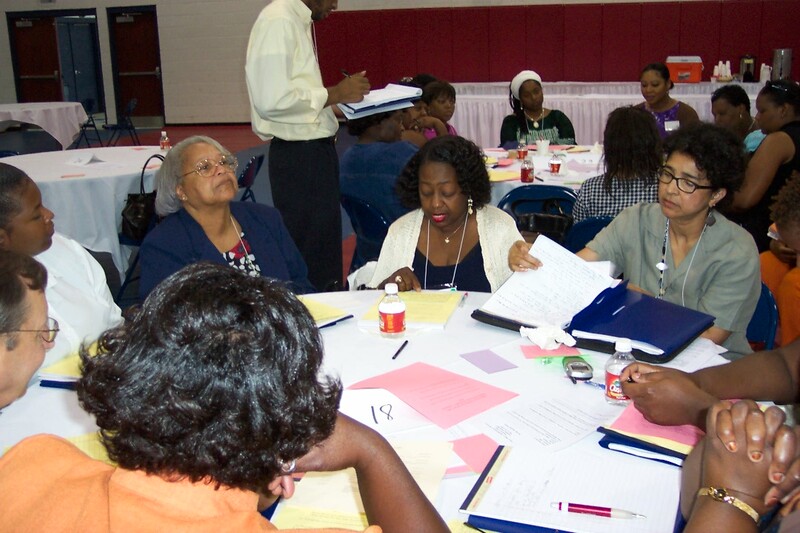 Based on a series of dialogue sessions held in each community, coalitions of community organizations are developing strategies to reduce health disparities by addressing the social determinants of health (SDOH). The SDOH are structural barriers to better health, often tied to racism and economic exploitation, that include such factors as: the absence of good and affordable food, safe and usable transportation and recreation facilities, a clean and non-toxic environment, and good jobs which pay a living wage. The community coalitions are now using CBPR methods to devise solutions to the health challenges they face. This work is funded through the State of Texas and the National Institutes of Health. Social Justice & Health Disparities in Texas: Merging Community Needs and Making Policy. Beyond fighting to immediately improve conditions, in this project community leaders are working to change the policies that govern local and state agencies and decision makers. As part of the SCRC’s ‘practice to policy’ initiative, community groups and leaders in Social Justice and Health Disparities direct their expertise in making their communities work to educating and influencing traditional policy makers. Community participation in policy change campaigns improves the conditions in which people work and live. It also contributes to the skills and resources of traditionally marginalized groups that help them take control of their futures. This work is funded through MD Anderson and State resources. 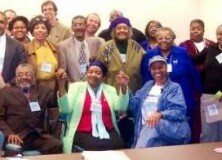 Louisiana Environmental Justice Community Coalition (LEJCOC): Environmental Justice Through Alternative Dispute Resolution. Communities throughout the southern region of Louisiana are, and have been for decades, under assault from toxins in their water, air, and soil. The environment is this region of Louisiana is so polluted that it has long been referred to as “cancer alley.” LEJCOC is a coalition of community-based organizations from across the state that have come together to attempt new approaches in reducing the pollution and the power of polluters in the state. The SCRC is partnering with the LEJCOC in employing Alternative Dispute Strategies to this end. This work is funding through the Environmental Projection Agency (EPA), local funding, and the SCRC community fund. If you’d like more information on any of our current projects, or to discuss how you might participate in our work, contact us via email.